Bacchus was the third RFA ship to bear this name. She pioneered containerisation with 'CHACONS', which were small wooden containers that were developed at Chatham Dockyard. Much of her sea time was spent on the overseas freighting run between Chatham, Malta, Aden, Singapore and Hong Kong. Later via the Cape and then the Gibraltar/ Cyprus run. Bacchus came off charter on 8 September 1981 and was returned to owners. She was sold and was renamed Cherry Lanka remaining in service for another four years before being scrapped at Gadani Beach, Pakistan, in 1985. 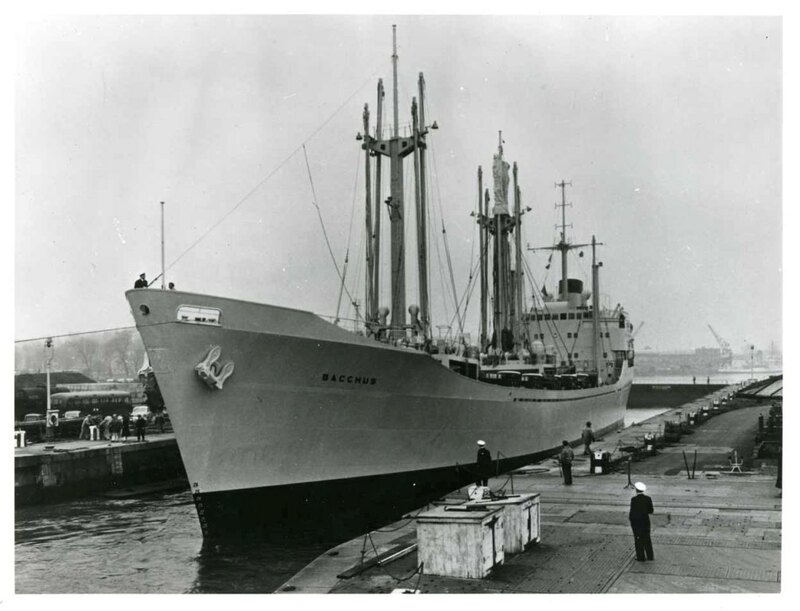 RFA Bacchus(3) A404. RFA Hebe A406. Built Robb, 1962. 4823 GRT. Chartered from BISN Co. Hebe severely damaged by fire 1978. Bacchus returned to owners 1981. Length overall: 379ft. Beam: 55ft. Draught: 22ft. Depth: 31ft. Speed: 14-15 knots. Range: Bunkers 630 tons fuel oil, 18 tons/day maximum. Complement: 36 (accommodation for 54).